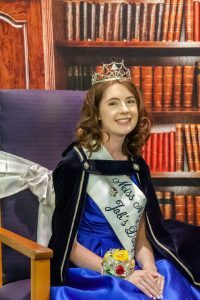 Christine H. is Miss Arizona Job’s Daughter 2018-2019. 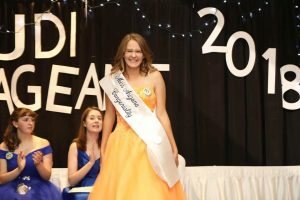 Miss Arizona Job’s Daughter represents our state in the Miss International Job’s Daughters Pagent August 2019 in Kansas. She attends a variety of Masonic sessions and events. Speaking on behalf of Arizona Job’s Daughters. Mallory S. is Miss Arizona Job’s Daughter Congeniality 2018-2019. Miss Arizona Job’s Daughter Congeniality is chosen by the Daughters of Arizona. She is the Daughter who displays the greatest friendship to other Daughters during the pageant.